Windows 10, and why you should wait to upgrade. On July 29, Microsoft officially released Windows 10. Microsoft named the new OS Windows 10 because of a new deployment philosophy for future operating systems. Hold off on the upgrade for now. There are too many business continuity concerns to jump in with both feet at this time. Currently, we are running Windows 10 in a lab environment and testing for application compatibility. Many of our clients have industry specific applications that could be incompatible with Windows 10. We need to confirm these applications will function and be supported, before you upgrade. How long should wait before upgrading to Windows 10? In coming months we will have better idea of what popular programs will function well and which ones won’t. 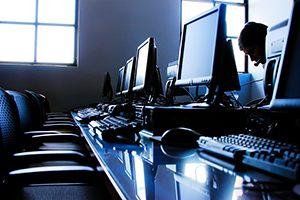 We will evaluate client specific programs on test PCs at the client location first. If you are running Windows 8, no. If you are running Windows 7 or earlier, Microsoft will soon discontinue patching and support for your OS. However, there are compelling reasons to upgrade once the coast is clear. Microsoft is offering a conditional free upgrade for one year from a currently licensed Windows 7 or later system. If you want to take advantage of this offer, Network Depot can help you determine if you qualify and if your system is compatible. Will my old, legacy programs work with Windows 10? Many clients have programs that are quite old, industry specific, and have not been updated for even Windows 7 or Windows 8. These specific programs may need to be kept on older PCs with legacy operating systems as long as that program is used. Given the risk of lack of support for legacy programs in Windows 10, finding alternatives needs to be addressed with urgency. Please feel free contact us at (703)264-7776 to schedule a Windows 10 migration plan review for your company.